Alcohol and drug addiction is a serious life problem that tends to destroy the lives of many people, the young and elderly alike. Taking control of your addiction seems to be an impossible task, and most addicts never find it easy to completely stop the behavior, however how much they have tried. Nevertheless, it is good to note that all isn’t lost and those who are seeking to solve their addiction problems can get permanent solutions. The first and most crucial step to getting help is for the individual to recognize and admit that he has a problem and that he cannot solve it himself. The process of drug rehabilitation is not a simple or easy task and requires total commitment and hard work by the individual to achieve the best-desired result. Sometimes people start a drug recreationally and end up getting very addicted. From light usage and heavy usage, the addiction is always there. Sometimes you find yourself saying ‘One last drag or one last line.’ But that almost never is the case. Sometimes one tells themselves it is the last time, which is almost never the case either. When you need the drug in your body, when it controls you and not you controlling it, you most likely are an addict. It doesn’t matter if you just started consuming or if it is a regular habit. Addiction causes breakups in families, stress and much more. You can lose everything you have, whether it is your belongings, home, or family and even friends. You can even lose yourself. Luckily for inpatient drug rehab, there is a solution to end this misery. You can stop today and change your life around. There are two types of inpatient treatment for drug and alcohol addiction. The first type is short-term inpatient drug rehab programs. These programs keep patients for up to 30 days, and most of these programs focus on medical stabilization, abstinence, and lifestyle changes. The second type of inpatient treatment is long-term residential programs. These programs offer around the clock, drug-free treatment in a residential community of counselors and fellow recovering addicts. Patients stay in these long term drug rehab programs for several months up to a year or more. There are many types of treatments for addictions (Holistic, psychological) the important thing is to choose one that is right for you. If you have a serious addiction problem and do not know where to turn then Inpatient drug rehab is for you. Don’t wait until it devours everything you love, everything you own including your life. Help is just around the corner. In Inpatient rehab you can find that help and much more. You can make your life better and have a successful future, something you could never have if you have an addiction problem. With the help of professionals, proper medication, and therapy you will be much better off than struggling with these issues by yourself. Different people have different addiction levels and needs, and therefore they can never be a magic treatment process that works for all individuals. Each individual is treated according to his/her physical, psychological, spiritual and emotional needs, and there are a number of treatment options that work for every individual. Most rehabilitation centers are divided into two sections; outpatient and inpatient drug rehab. These differ in several ways like the cost, treatment environment and facilities and level of addiction. One should be adequately advised on the best facility that is suitable for his individual needs. Whether one is admitted in an outpatient drug rehab or inpatient program, it is important that the facility is appropriate and suitable to enhance the treatment program. In most cases, addicts are advised to choose a facility that is located away from their local area to a new environment. This gives them more opportunity and time to concentrate on the problem and focus on themselves, away from family, work or friends’ distractions. They get time to properly address their addictive behavior. However, you realize this is only possible for an inpatient program. Those under outpatient programs have to consider a facility that is not far from home so that they do not have travel problems every day. Such individuals may have school, family or work obligations and responsibilities which they have to attend to quite often. An addiction treatment center close to home will give them better opportunity to carry out their responsibilities alongside the treatment program. 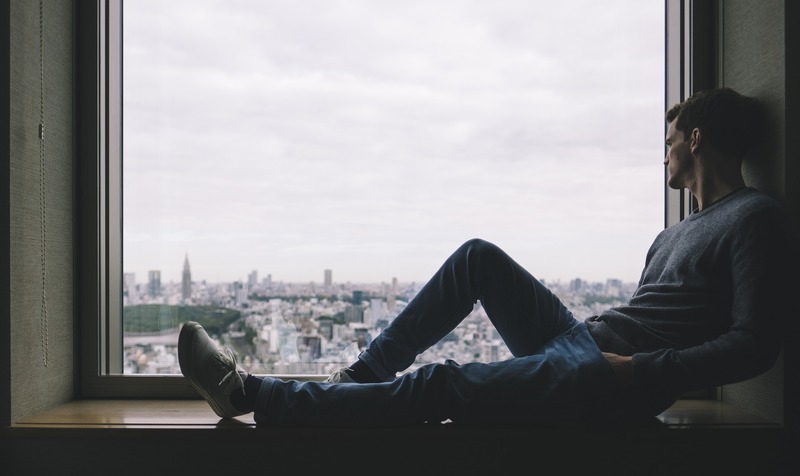 However, temptations and opportunities to relapse are much harder to resist for an addict undergoing treatment on an outpatient basis, before they have learned the skills required to deal with difficult situations. There is not a magic process that can be used to instantly do away with addiction problems, plus there is no one treatment procedure that works for all individuals. Inpatient rehabilitation is a gradual process that is done step by step and can take varied duration’s depending on the individual. More specifically, the duration depends on a number of factors including the addiction type and level, the diagnostic tests carried out, the addiction history, specific needs and individual’s previous efforts against addiction. Every individual is put on a non-specific program, with some taking even a month while some can go for over six months. According to a majority of follow-up programs carried out after the individual is released, there is evidence to show that those who undergo a longer term inpatient rehab process are better placed for long-term recovery. This is because the individuals get more time to address their addiction problems completely and therefore are in a better position to avoid any tempting relapse. Resisting a temptation back to drugs or alcohol is very difficult if you are not well equipped to cope with the situation. Treatment does not usually stop after the position is released from an inpatient drug rehab, whether inpatient or outpatient. The recovery process is a long journey that still requires much support and counseling. Most drug rehabs carry out follow-ups to ensure the individual does not relapse. Other important aftercare programs include continuous group and individual therapies, being taught the twelve-step recovery procedure, regular exercise, meditations and yoga classes. These programs have proved very effective in the overall recovery process for the patients. No one should be rushed through the process, everyone is given enough time to recover. Relapses are common instances in the recovery journey for an addict, and should not be seen as an obstruction but rather an opportunity to get back on the right path to recovery. Such an individual can be given another chance to undergo the rehab process again since most people who have achieved full recovery found themselves staying in drug rehabs more than once. As expected, inpatient rehab facilities differ from each other on the costs charged for different treatment programs. There are a number of factors that cause the variation in cost for most facilities such as the program type, the length of the program, the type of amenities offered and the location of the drug rehab. The length of time under the program determines its cost. Those who stay for short periods will definitely part with a lower cost than those who stay longer. During the intake process, you will definitely be advised of the estimated amount of time your program will take, depending on the addiction and diagnosis tests carried out. Usually, long-term rehab stay is better for recovery than short-term stay and therefore worth the heavy cost that accompanies it. The inpatient rehab location also plays an important role in determining the cost of the program. For inpatient drug rehab patient, the facility may be located in certain luxurious areas like beaches. Such locations attract higher costs for the program. For outpatient patients, this depends on the ability to conveniently travel to and fro the facility. The travel cost to the rehab will contribute to the final cost of the program. The amenities being offered by the facilities especially an inpatient drug rehab also differ. These amenities may vary from animal therapy, adventure therapy, gourmet dishes to other high-end therapies. There are a variety of complementary therapies offered in rehabs like massages, aromatherapy, acupuncture, yoga, and meditation. To find an inpatient rehabilitation center close to home type in your search bar “inpatient rehab near me” and that should produce local results. There are some inpatient rehabs that offer luxury treatment programs for specific individuals. People like high-profile executives, important public figures tend to choose these luxury rehabs due to the high-level amenities offered, privacy, isolated locations and the possibility of relating with people of their levels. These facilities charge very high costs but the luxuries are worth it. High-quality meals, private rooms or even spa pools make them quite exclusive. Another important determinant of cost is the type of program enrolled. Inpatient drug rehabs are usually more expensive than outpatient facilities. This is because the drug addicts reside in the facilities and are therefore given 24/7 medical care. They also enjoy all the amenities optimally than outpatient patients. If the reason stopping you from going to inpatient drug rehab is the cost, don’t let that factor stop you. There are thousands of free clinics and clinics that can make payment plans with you. Before entering an inpatient drug rehab you should talk to a professional to make sure that is right for you. Once you join an inpatient drug rehab you’re already starting your progress, joining is the first step. The second step is much harder, but with hard work and effort, it can be accomplished. This step is detox. During detox, people will feel withdrawals whether it’s from heroin, crack, cocaine, or any other class A drug. People in withdrawal will often feel horrible for the first month or two. The withdrawal phase of Inpatient Drug Rehab is the hardest. There are some people who can‘t quit cold turkey. This is why the addict will constantly be monitored and given suitable medication according to the withdrawal of the person. The next step in inpatient drug rehab is a real handful. The worst has gone, however. The physical addiction has left, your body does not need it anymore. The third step is getting rid of the mental addiction. This can be done by intensive therapy, proper use of medications, and other treatments. In therapy, one will learn how skills and how to cope with their mental addiction. There are many good professional therapists trained in helping others with mental detox. Without this very big step in coping with mental addictions one will always stay addicted and run into trouble in their future.